Lock in a great price for Seasing Boutique Hotel – rated 8.5 by recent guests! Hotel was a few km away from the main (busy) part of Nha Trang, therefore beach etc quieter. Rent a bike service was very easy and great value for money. Hotel pool and lounging area was a nice change from the beach. Staff were very attentive. Small mini-market opposite was great for refreshments etc. Everything was perfect. Breakfast is excellent with many choice, love spring roll and PHO. Staff are friendly, specially, the reception cannot help you enough. The pool is perfect for the lazy day. We got the small lovely gift when leaving. Will look forward to come back one day. Thank you Seasing Boutique Hotel. The atmosphere, very family orientated. The staff " including kitchen " very friendly. 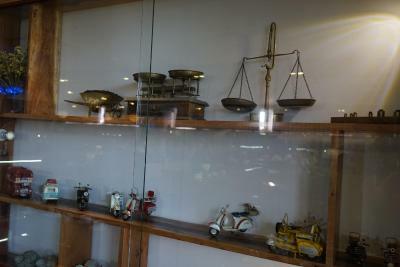 The owner/manager is great and has done a great job with the decor. We wanted to change the first room (family room) as it was very noisy, due to a construction site directly next to it. They not only gave us a new room immediately, but felt very sorry for us and really tried everything to make us feel very comfortable the entire stay. They treated us like kings! Bathrooms and showers were nice. We had a great ocean view. 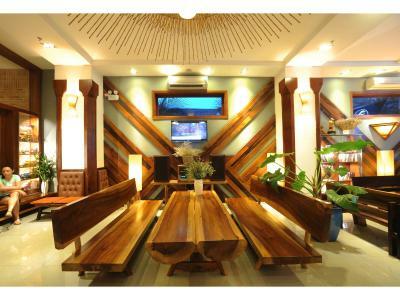 The interior is made of a lot of wood, which gives it a very warm touch. Rooms are very clean. We liked it. Room was big with a great view overlooking the sea. Close to but not on busy main seafront Road. Taxis always available at hotel. 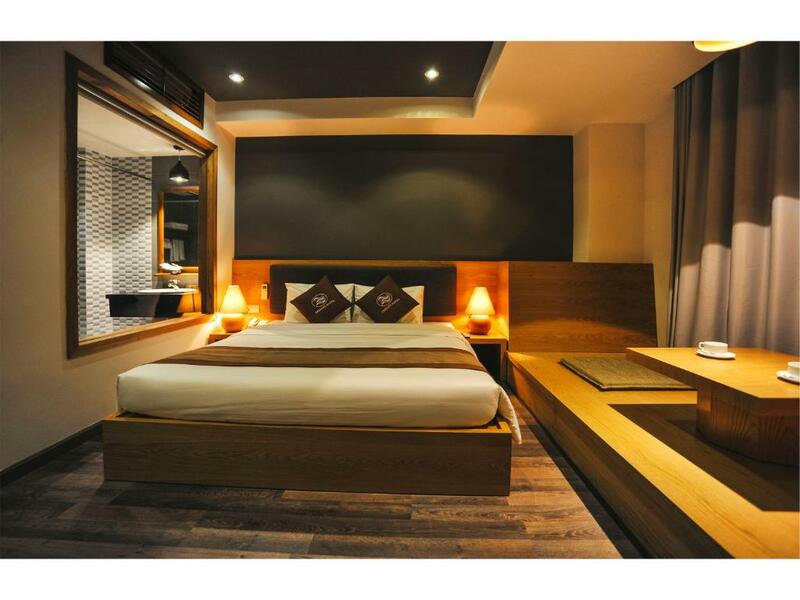 Seasing Boutique Hotel This rating is a reflection of how the property compares to the industry standard when it comes to price, facilities and services available. It's based on a self-evaluation by the property. Use this rating to help choose your stay! 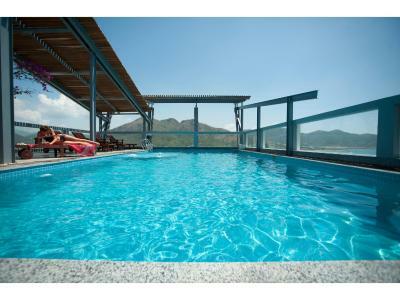 Located 0.6 mi from Hon Chong in the Khanh Hoa Region, Seasing Hotel features a year-round outdoor pool, terrace and sun terrace. The hotel has a spa center and a private beach area, and guests can enjoy a meal at the restaurant. Every room at this hotel is air conditioned and is fitted with a flat screen TV. Certain rooms have a seating area to relax in after a busy day. 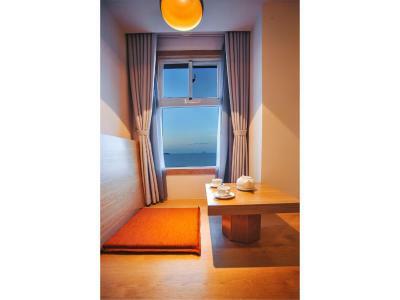 Some rooms feature views of the sea or city. 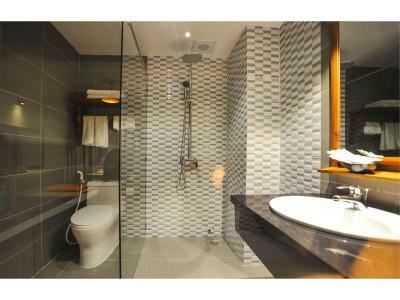 Each room has a private bathroom equipped with a shower. For your comfort, you will find bath robes and slippers. 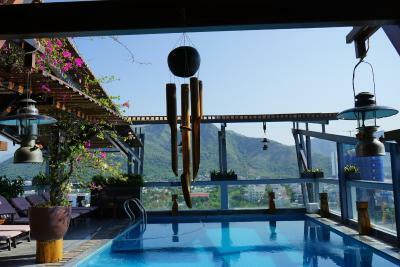 Po Nagar Cham Towers is 1.1 mi from Seasing Hotel, while Thap Ba Hot Spring Center is 1.8 mi away. Nha Trang Airport is 19 mi from the property. 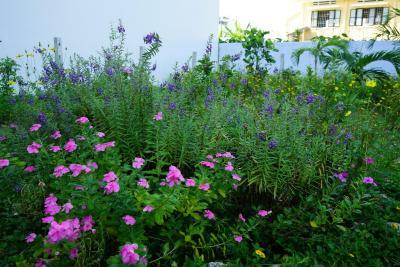 This property is also rated for the best value in Nha Trang! Guests are getting more for their money when compared to other properties in this city. 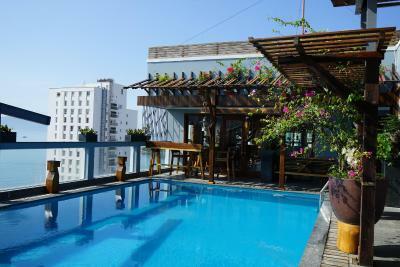 When would you like to stay at Seasing Boutique Hotel? 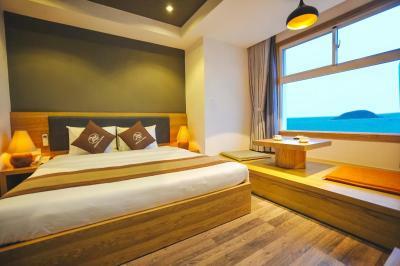 This air-conditioned room features magnificent views of Nha Trang Bay. With windows that open up, this wooden-finished room features a tea table, a mini-bar, electric kettle and safety deposit box. Private bathroom is fitted with a shower. Towels, linen and slippers are provided. This air-conditioned room features a raised platform seating area next to the window. It comes with a mini-bar, electric kettle and safety deposit box. Private bathroom is fitted with a shower. A bathrobe, towels, linen and slippers are provided. This air-conditioned room opens up to a large balcony. It comes with a mini-bar, electric kettle and safety deposit box. Semi-outdoor bathroom is fitted with a shower. Towels, linen and slippers are provided. This family room has a balcony, air conditioning and bathrobe. With 75 Simply elegant & uniquely designed, we will endeavor to make your stay with us, an enjoyable one. Just imagine! 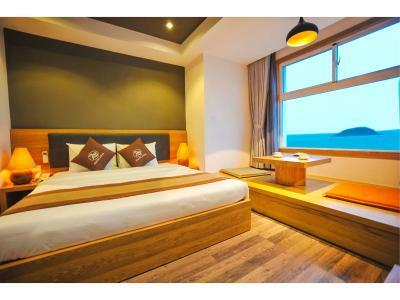 Looking out over beautiful NhaTrang Bay from your comfortable room, you can enjoy cool breezes, gentle waves and stunning views especially when the stars come out and the lights from the silver waves sparkle on the horizon. Nothing to say than WOW At Seasing Hotel we strive to achieve high standards and always aim to exceed your expectations. Our staff has been trained to offer a warm and friendly welcome. We'll take the very best care of you in our easy - going but luxurious restaurants, spa and poolside bar. 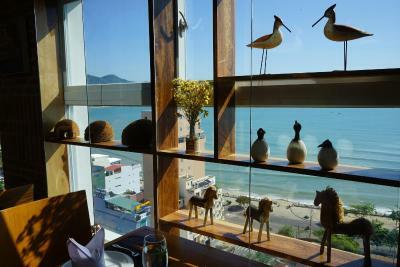 Leave the world behind and start a peaceful day at Seasing Nha Trang. We’re sure that each time at Seasing is a unique experience that makes you want to extend your holiday leave indefinitely. House Rules Seasing Boutique Hotel takes special requests – add in the next step! All children under 12 years are charged VND 407831.48 per night for extra beds. Seasing Boutique Hotel accepts these cards and reserves the right to temporarily hold an amount prior to arrival. 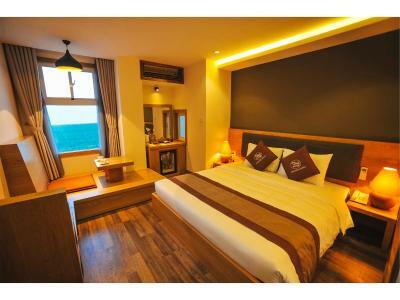 It's good service and sweet ,room is very clean and close to the beach，good view in the suite! Breakfast was not suitable for 'westerners' whatsoever. It consisted mainly of food aimed at Chinese folk and others. Coffee at breakfast and in the room was dreadful. We therefore ate breakfast out nearly everyday which obviously came at a price. Ironically when leaving, the. gave us a gift of Vietnamese ground coffee which looks fantastic! Beds were extremely hard and uncomfortable. Read this on previous reviews yet there appears to be no action taken. Lots of the gym equipment either didn't work or was no safe to use. The bed was a little bit hard. 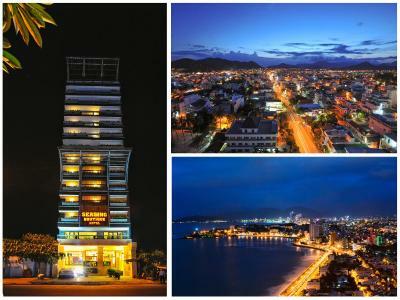 There are a lot of construction sites in Nha Trang - this is not specific to this hotel but the entire city. After a while we did not hear it anymore. Breakfast buffet is large and a lot of fresh items. However, it is more for the Asian taste. The hotel team tried to make up for it with fresh fruits and the kitchen is very flexible (e.g. cooking the eggs and warming some milk). I would suggest that they get one of these modern, nice coffee makers, as the coffee was not so nice. Bed was quite hard. Difficult to communicate with the staff. Location was some distance from the main nightlife and location overrun with Russians. Loads of building work nearby and noise is constant 24/7. After we checked out, we went to the front a minute before our transport was due to arrive. This was apparently not ok, as the security guard grabbed my arm very hard, which hurt, and firmly dragged me back to reception, to my and their confusion. A minute later when our driver was looking for us, I was allowed to leave. It soured an otherwise nice stay. Lot of construction work nearby - some noise at night. The building site a couple of streets away was a bit noisy if you are in the suites. The reception staff were helpful and friendly. However, the staff at the pool and bar seemed uninterested, unhelpful.